Exclusively developed by Akrapovič for 1299 Panigale R Final Edition, it is the most advanced complete racing exhaust system available on the market. Each section of the system is manufactured in a special Titanium alloy, with TIG (Tungsten Inert Gas) welding, which is both lightweight and resistant to high temperatures. 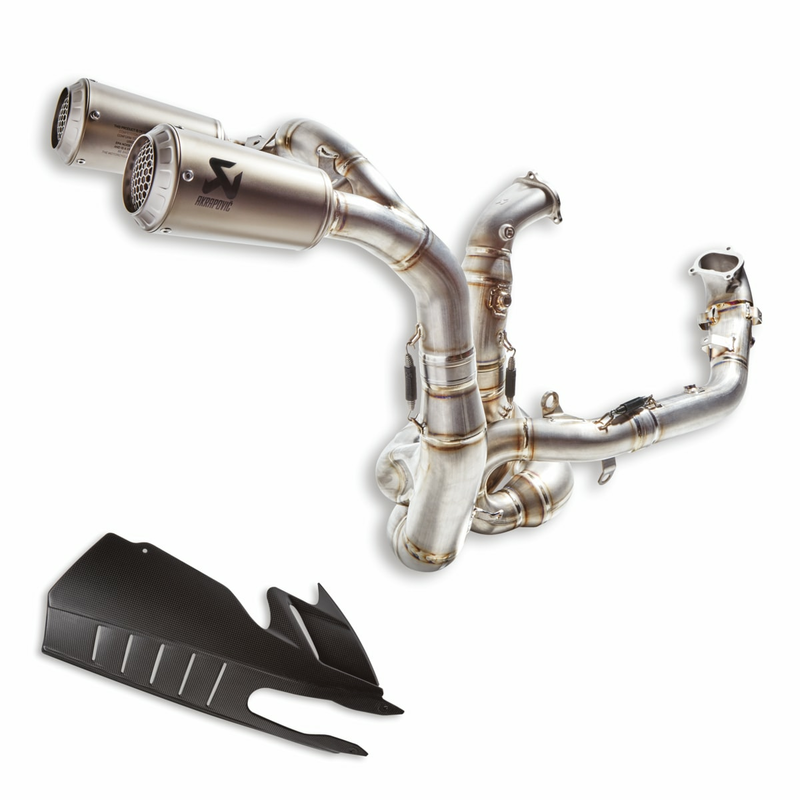 The dedicated exhaust system adds a legendary sound to the twin cylinder by Ducati. The dedicated racing mapping significantly increases bike performance. System is designed in such a way to allow using the side stand; the lower carbon side fairings, with dedicated livery, are supplied with the bike.